Goodbye clutter, hello makeover! Architect Róisín Murphy and builder Peter Finn return to RTÉ One tonight at 8:30pm with a brand new episode of Home Rescue. 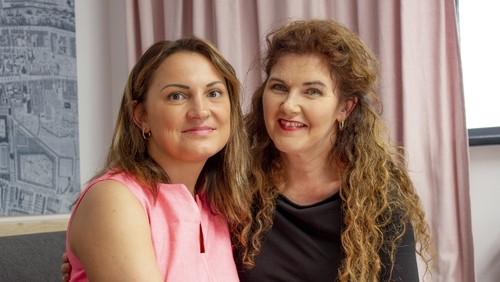 On tonight's episode, the Home Rescue crew meet Latvian mum Maria in the small apartment she shares with young sons Armands and Lukas and her mum Gita. With two-year-old Lukas and granny Gita in one of two bedrooms, and Armands in the other, Maria has relegated herself to a corner of the living room - one which also houses the dining area and the kitchen. To add to the problem, an adjacent closet is packed to the ceiling with clutter. Róisín plans a complete redesign of these two dysfunctional rooms, but there’s barely space to work. Soon, the team is forced to relocate the clutter to the vacant classrooms of a nearby college. While this make-over may seem like a tall order for the team, we have no doubt that Róisín and Peter will pull it out of the bag - just look at last week's transformation. Watch Home Rescue on Tuesday, 6th November, 2018 at 8.30pm on RTÉ One.